Whether you have them in the garden or planted in containers on the porch, if the leaves on your tomato plants are mysteriously turning yellow or disappearing one by one, there is a good chance that you have a bug problem. Fortunately, there are ways to get rid of bugs on tomato plants, and once you know a few things to do, they are not that hard to vanquish. Prune the leaves and stems of the tomato plants away from the ground. Use garden shears to remove lower branches and leaves. This will discourage bugs from climbing onto the tomato plants from the ground. Remove larger bugs by hand. 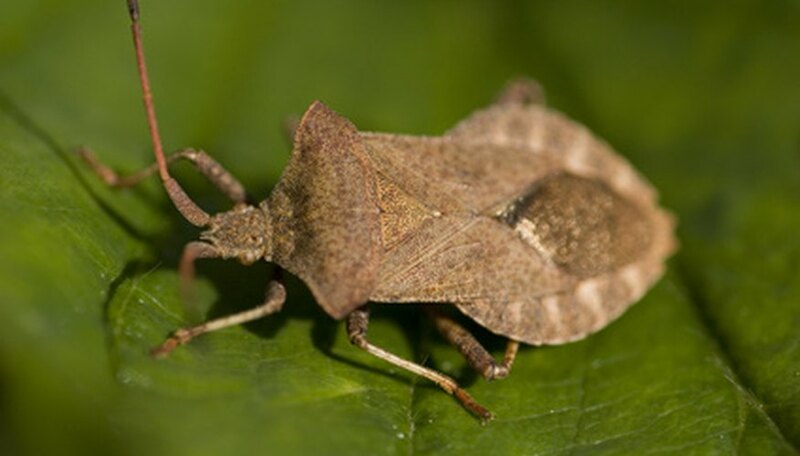 Many bugs such as hornworms, stink bugs or fruit worms can be taken from the plant by hand. Wear gloves for protection and drop troublesome bugs into a container of warm soapy water to dispose of them. Spray with a soap and oil mixture. If removing bugs by hand is not for you, try spraying them with soapy water mixed with vegetable oil. Mix 2 tsp. mild dish soap with 1 tsp. vegetable oil (olive or canola) in a small spray bottle and top with water. Spray bugs until they are saturated with the mixture. Plant trap crops. Keep bugs off of tomato plants by giving them a tastier food choice. Dill and borage are attractive to tomato pests, and once they have located these plants, they will be much easier for you to see and get rid of. Sprinkle cornmeal around the base of the tomato plants for controlling hornworms. Although hornworms will readily eat cornmeal, their digestive systems cannot handle it and the cornmeal will kill them. If you would rather live in harmony with nature, try using other plants near the tomato plants that may repel them instead. Onions, garlic, marigolds and basil are all known to repel some insects, but not all, so a combination of this and another method is usually the most effective option. Although herbicides are very effective, they also kill beneficial insects and destroy tomato bugs' natural predators. To prevent this from happening, attempt organic control first, before trying chemical methods.